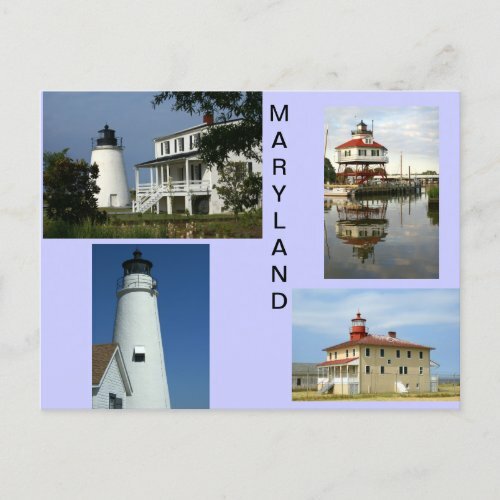 There are three distinct styles to the Chesapeake Bay lighthouses. 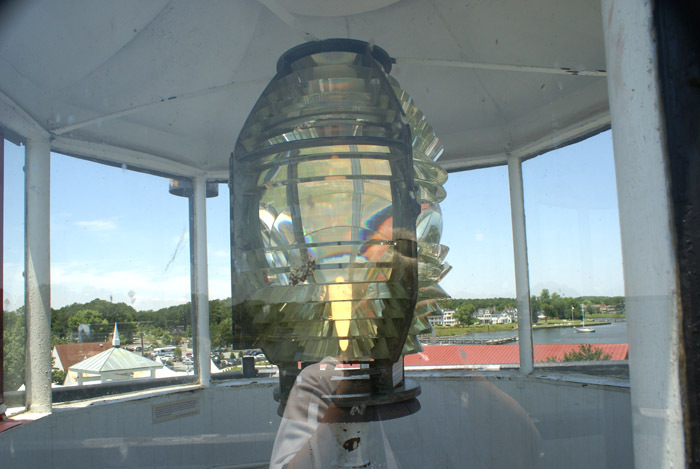 In June of 2011 I was able to visit several of the Maryland lighthouses along Chesapeake Bay. I was thrilled to be able to visit all three types of lighthouses and to climb up into two of them. The style photographed above is the screw-pile style of lighthouse. This lighthouse was constructed of a iron screw-pile formation to help stabilize it in the sandy and muddy bottom to the Chesapeake Bay. A cottage style house was then built on top of the foundation and the lantern house on top of the cottage. 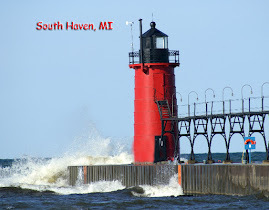 I was able to visit two of these screw-pile lighthouses and climb up into both of them. They are both currently located in marine museums that are open to the public. 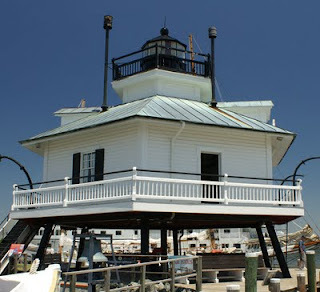 The lighthouse pictured above is the Hooper Strait lighthouse that can be found in the marine museum in St. Michaels, Maryland. 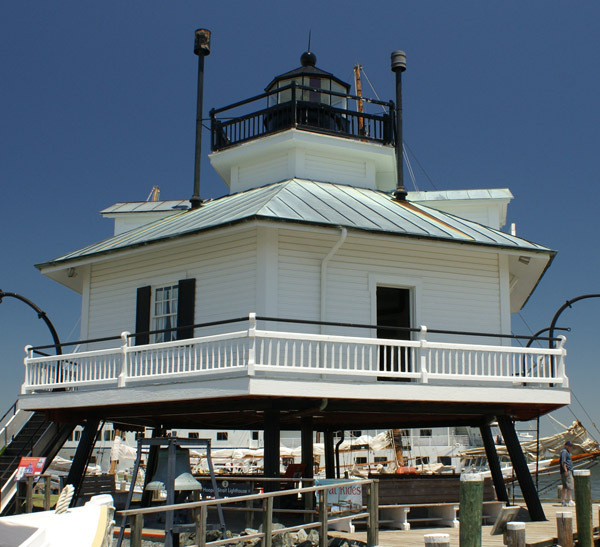 It now sits on the edge of the harbor and is a wonderful experience for visitors who can climb into the lighthouse and see how the keepers of years gone by lived and worked. On the first floor was the keepers living quarters. There I found a living room, dining area, work area, and a bedroom. On the second floor was another workroom and a second bedroom area. Climbing a third flight of stairs led me to the lantern room depicted in the photo below. The second screw-pile lighthouse that I visited was in Solomons, Maryland. It is the Drum Point lighthouse and you can read more about it at Drum Point Lighthouse. The other two types of lighthouses that I visited were the conical tower type of lighthouse and the cupola style of lighthouse. Both of these are depicted in this article Chesapeake Lighthouses and on the postcard depicted below.